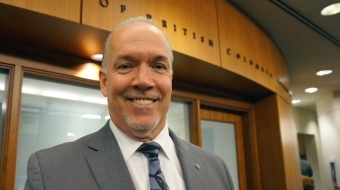 John Horgan is the leader of the British Columbia New Democratic Party and MLA for the constituency of Juan de Fuca. He was born and raised in Victoria, British Columbia. As a young man John worked in a BC mill and in a joinery. He earned his Bachelor’s and Master’s Degrees at Trent University in Ontario and Sydney University in Australia. A meeting with Tommy Douglas sparked his interest in social democracy and he went on to work for Members of Parliament in Ottawa. In 2001 Horgan started a management and research consulting company helping both private and public sector organizations. John was elected to the Legislature in 2005 and has been re-elected twice. 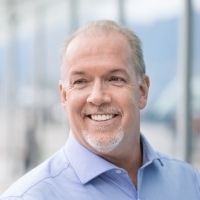 He became leader of the BC NDP in 2014. A cancer survivor, he is a passionate advocate for health care, public schools and community services for families.